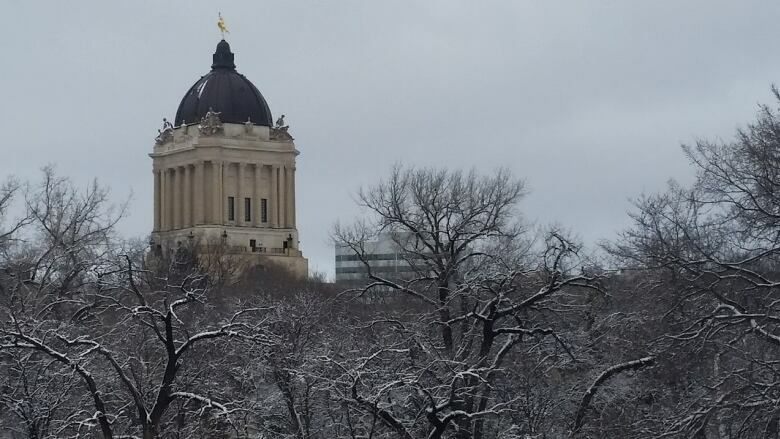 The 2018 Manitoba budget, tabled in the legislature Monday, is a whopping $17.4 billion, up from $17.1 billion in the last budget. So what does that get you? The 2018 Manitoba budget, tabled in the legislature Monday, is $17.4 billion, up from $17.1 billion in the last budget. So what does that get you? A deficit reduction of more than one-third, with the projected shortfall for core government services at $521 million in 2018-19, down $319 million from the $840 million deficit in the 2017-18 budget. The province's net debt will hit $25 billion, up from $24 billion. Debt servicing costs will go up 4.3 per cent, surpassing $1 billion. An increase in the basic personal exemption that amounts to $12 in savings on your 2018 income taxes. That will increase by $109 in 2019 and then another $109 in 2020. The basic personal exemption will go up a total of $2,020 to $11,402 by 2020, from $9,271 in 2017. A planned one percentage point cut in the provincial sales tax in 2020. The already reported $50,000 increase in the small business exemption to $500,000 from $450,000, which will create a saving of as much as $6,000 per business. Natural gas — 4.74 cents/cubic metre. A $152-million cut in spending on highways infrastructure, to $350 million from $502 million last year. Health spending will increase 0.9 per cent, which will result in cuts because that's lower than the rate of inflation. Education spending will go up 0.5 per cent, which is again a cut when inflation is factored in. University funding will actually be cut. As revealed earlier Monday, five new schools will be built, four in Winnipeg (two in Waverley West, one at Waterford Green and one in Seven Oaks School Division) and one in southeastern Brandon. Ambulance fees will be reduced a further $85 to $340, and 60 full-time paramedic positions will be created. Funding for program delivery at the Addictions Foundation of Manitoba will be cut by $2.7 million. While income taxes are dropping thanks to the increase in the basic personal exemption, there's an overall increase of eight per cent in other taxes (including items such as carbon taxes). The $250 deductible on the education property tax credit will be eliminated. Funding for more than 700 child care spaces, most of which have already been announced. There's also a child care centre development tax credit for businesses (other than child care centres) that create new licensed child care spaces, which will get a $10,000 benefit per new infant or preschool space, claimable over five years. The small business venture capital tax credit will be easier to get, with the revenue cap limiting the size of eligible corporations being eliminated and the minimum lowered to $10,000 from $20,000. Credit unions' special lower tax rate will be phased out starting in 2019, costing the co-operative financial institutions $800,000 to start and $15 million by 2020. That will be partially offset by elimination of the one per cent profits tax, which will cost the government $300,000. A $30-million revenue increase for Manitoba Liquor & Lotteries, which will distribute cannabis after legalization. The rental housing construction tax will be eliminated by Jan. 1, 2019. Taxes on fine cut tobacco will go up to 45 cents per gram from 28.5 cents per gram.